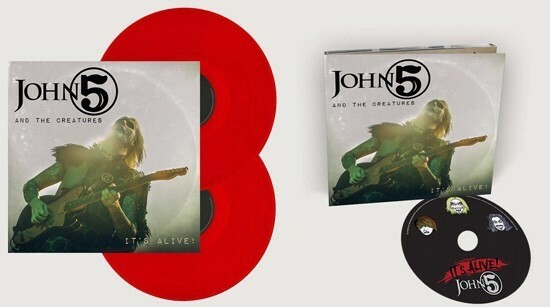 John 5 And The Creatures to Release "It's Alive!" Live Album in January - Welcome To All That Shreds Magazine! JOHN 5 and The Creatures (bassist Ian Ross and drummer Logan Miles Nix) are set to release a brand new live album, It’s Alive!, in January. Becoming available on Thursday, January 25, 2018, It’s Alive! is the first album released by the world-renowned guitarist to be featured on vinyl. A stunning 24-page, full color tour book covering the JOHN 5 and The Creatures tour journeys so far will also be available for separate purchase. Next Next post: Does Live Nation Have A Monopoly On The Concert Industry?